Malt Whisky, the Magic Stuff, is made basically the same way wherever it is made. You need barley grains, water and yeast. The barley is soaked and left for a couple of days. It starts to germinate, as any seed will, and the stored starches are converted to sugars. The germinating seeds are now known as malt, and the malt is stirred about in a warm place to make sure all the starch is converted. It takes about a week. Germination is stopped by drying the malt in a kiln. The malt is then ground up, hot water is added to dissolve the sugars, and yeast is added to convert the sugar to alcohol. The silly Saxons stop here and drink it as beer. The canny Celts carry on, and distil the liquid, and store it in a cool place in wooden barrels. Kept for three years it is legally scotch whisky. Kept for 10 it is nectar. Why are some whiskies so different? Given that all whiskies are made this way, why do they differ so? The answer is – we don’t know, but some of the greatest minds in the world are working hard on the problem. The pursuit of knowledge is a high and lonely path, and there are few compensations. When the subject of the research is malt whisky, however, the compensations amply reward the student. The chief factors are the barley, the water and the wood from which the barrel was made, and whether that barrel had already been used for storing port, or sherry or some other wine or spirit. But almost everything has an impact, and it is a lifetime’s work to master the possibilities. So where does the student start? 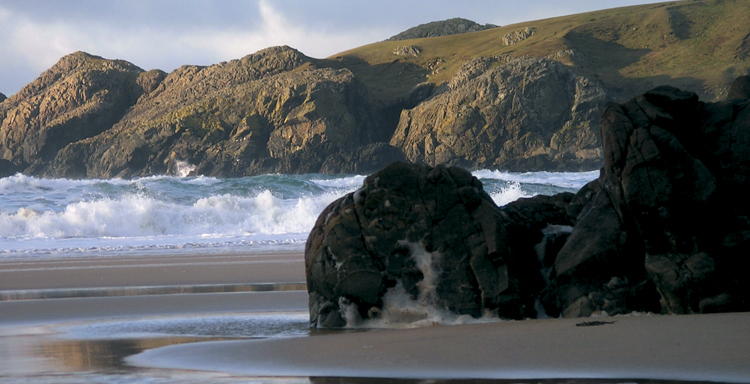 Look no further than Islay. A large island off the west coast of Scotland, it is home to no less than seven working distilleries. All the distilleries are on the sea, and all produce whiskies with a seaweedy, foreshore character that is quite distinctive. Some are deliberately very peaty and smoky, others mild and salty. On the south coast of Islay, Ardbeg used to be one of the heaviest peated whiskies ever made. Now that their malt comes from neighbouring Port Ellen, the peat is less over-powering and the citrus and spice flavours are more evident. Ardbeg have decided to go back to their roots, so look for a return to the coal-tar flavours of the ‘70s in a few years’ time. Neighbouring Lagavulin and Laphroaig have been described as “brutal” and “medicinal”. These are the taste giants of the whisky world, impervious to attack, unreckoning of the rest. Profound flavours of salt, iodine, seaweed, peat and smoke, sometimes phenols and esters, sweetness. Somewhat less aggressive these days perhaps, or perhaps one’s nose is learning to “see” past the peat, but these are the whiskies that identify Islay to the rest of the world. Up the coast to Bowmore, the mid-island location gives a mid-taste between the salty dogs of the south coast and the lighter northerners. Beautiful complex fruity and smoky flavours with softer body and finish, but unmistakably an Islay malt. West now to Bruichladdich, recently re-opened under the private ownership of innovative whisky fanatics. They fly a banner over the distillery gates with the slogan in Gaelic “Chlachan a Choin”. If so, they are not wrong. This is a towering whisky, as light and malty as the southerners are peaty and salty. There is a lot of fruit and a hint of sand dunes and salt air and only sometimes a hint of peat. Always smooth. Back east now to the channel separating Islay from Jura, and Bunnahabhain. The most delicate of the Islay malts. Salty, like all the others, Bunnahabhain is fresh with sea breezes in the nose with a light and satin smoothness. Bottlings from very old casks smell of vanilla and caramel and taste of honey and nuts. But light. Always light. A mile or two southwards is Caol Ila. Vegetable ester smells – juniper, olive, menthol and perfume. Herbs – thyme. Pale to light whisky, delicate and complex. Quite rare. Quite delicious. That was Islay. If you can bear to, leave the island and head eastwards. The real Searcher of Truth must forever push the frontiers of knowledge onwards, no matter the personal cost. And if you want a tip, head next to Campbelltown, and the immortal Springbank.